Maintaining healthy credit relies on responsible spending and timely repayment. And while each person’s finances are unique, several universal strategies apply to most circumstances. The following credit do’s and don’ts highlight core finance rules, helping personal money managers establish good financial habits. Maintaining good credit is a proactive undertaking. For the best results growing wealth and protecting your financial interests, take active measures, like those listed below. Credit bureaus keep track of your history borrowing and repaying money. Their records reflect the number of active credit accounts you maintain, as well as a running log of your outstanding financial obligations. Using your payment history and other information about the way you handle money, credit reporting agencies distill your credit performance to a single number, known as your “score”. Credit scores are used to assess risk, by lenders, landlords, utility companies, and other creditors. Your strong history of timely repayment and responsible credit management leads to a high score, which opens access to credit. Late payment and default, on the other hand, result in low scores and struggles getting approved for financing. For the best financial outcomes, never underestimate the power of your credit score. Although it is just a number, your credit score can influence your access to housing, employment, and various forms of credit. Failure to protect and preserve it makes you riskier to creditors, which limits your access to financing. The Fair Credit Reporting Act requires each of the three leading credit reporting agencies supply a complimentary copy of your credit report once each year. In order to see what lenders see as they evaluate your references, it is important for you to take advantage of the free annual reports. Not only does up-to-the-minute information help manage your expectations as a credit consumer, but the annual credit report review can also uncover inconsistencies, resulting from fraud and identity theft. Credit card companies thrive on finance charges, so they are not necessarily in a hurry to be paid in full. On the contrary, your credit card company probably requests a minimum payment each month, which doesn’t go very far reducing your principal balance. Paying the recommended minimum satisfies your responsibility to the lender, but the unpaid balance rolls-over into the subsequent month, accruing finance charges on the revolving balance carried over. As a result, sticking to minimum payments draws-out the repayment process, adding substantial sums to the overall cost of credit purchases. Credit reporting agencies are always at work collecting data about your financial habits. To maintain a positive rating, don’t give them a reason to diminish your credit score. Avoid these pitfalls, in particular, which can damage your credit score. Late payments erode positive credit faster than any other financial misstep. A mortgage holder or lender may overlook a single late payment – as long as you contact them before it is due. But a pattern of delinquency will surely result in negative credit reporting. Grave financial circumstances, leading to default or foreclosure, devastate your credit score and leave long-lasting credit impacts. Once you have been characterized as a high credit risk, it may take several years to restore your positive rating. Carrying a credit card balance is like keeping an unsecured loan open, while interest piles-up. Whenever possible, use your credit card as a convenience, rather than a personal loan. By paying-off balances each billing period, you’ll slow the rise of household debt and show your best financial face to credit agencies. Rolling over high balances, month after month, on the other hand, can reduce your credit score. Your financial conduct has the power to boost your credit score and reinforce a high credit rating. At the same time, however, personal financial failures can result in negative credit reporting and diminished access to consumer credit. Use these credit do’s and don’ts to establish and preserve a positive credit rating. Q&A 34 – Should I Get a 0% Credit Card? 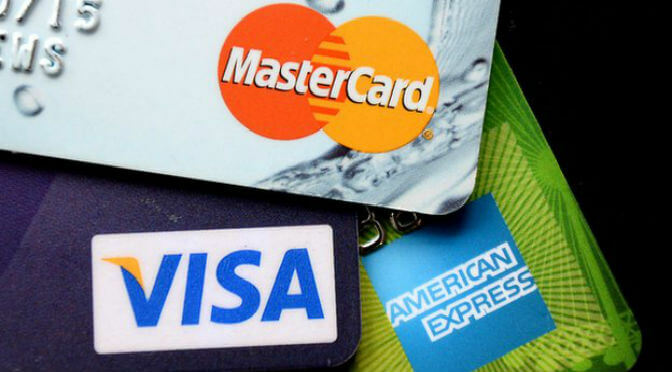 Q&A 82 – Should I Use My Credit Card More?